Dmitriy Salita of Salita Promotions proudly announces the signing of Baltimore-based female super middleweight prospect and former amateur world standout Franchon Crews-Dezurn to a promotional contract. Crews-Dezurn joins a Salita Promotions women’s boxing roster that includes superstar Claressa Shields, European star Christina Hammer, and Russian future champion Elena Savelyeva. 30-year-old Crews-Dezurn, 2-1, 1 KO as a professional, is a former highly decorated, elite amateur boxer. Among her many championships, she was an eight-time US Open National Champion, a four-time National Female Golden Gloves Champion, a four-time Pan Am Continental Champion, a two-time National PAL Champion, and a two-time US Olympic Team Alternate. She also represented Team USA in numerous international competitions, and in 2011, Crews-Dezurn made history by becoming the first of three women in the United States to qualify and compete in the debut of women’s boxing at the Pan American Games. Since stepping up on short notice and losing a decision in an exciting fight to women’s superstar and former amateur rival Claressa Shields in her pro debut in November 2016, Crews-Dezurn spent 2017 beating Louisiana-based contenders Latashia Burton (TKO 1) in March and Sydney LeBlanc (UD 4) in August. She will make her debut fighting under the Salita Promotions banner against North Carolina’s Tiffany Woodard on Friday, January 12, on the untelevised undercard of WBC/IBF World Champion Claressa Shields’ 168-pound title defense versus mandatory challenger Tori Nelson, live on SHOWTIME (10 p.m. ET/PT) from the Turning Stone Resort Casino in Verona, New York. Crews-Dezurn says she’ll be looking to rise in the rankings on her way to high-profile showdowns, including a possible rematch with Shields. Crews-Dezurn trains at the Headbangers Boxing Gym in Washington, DC, under well-regarded trainer Barry Hunter, as well as Patrice “Boogie” Harris, Jamie Harris and her husband Glenn Dezurn Jr.
Also featured on the January 12 telecast, Uzbekistan power-puncher Shohjahon Ergashev (11-0, 11 KOs) will face fellow undefeated and top-10 ranked Sonny Fredrickson (18-0, 12 KOs) of Toledo, Ohio. In the co-feature, Jesse Hernandez (10-1, 7 KOs) will take on Ernesto Garza (9-2, 5 KOs; 1-3 WSB) in a 10-round super bantamweight bout. 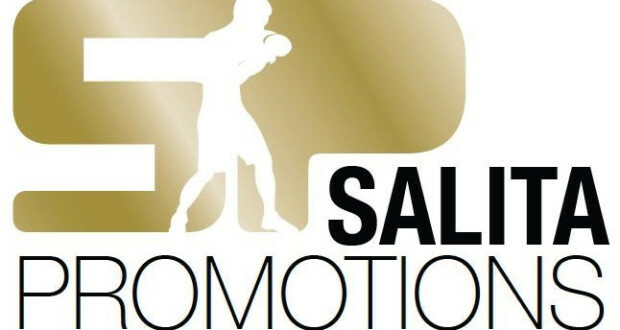 Tickets for the event, which is promoted by Salita Promotions, are currently on sale for $75 for the first two rows of ringside, $65 for remaining ringside seats and all others priced at $49 and $37, plus any applicable fees. Tickets can be purchased in person or by calling the Turning Stone Resort Box Office at 800.771.7711 or online at Ticketmaster.